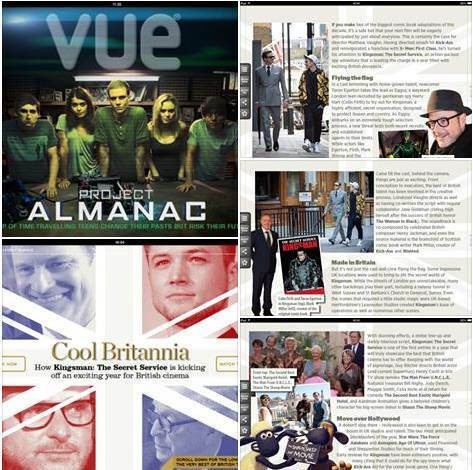 Vue Magazine: “Cool Britannia” article. my article ‘Cool Britannia’ appears in this month’s tablet edition of Vue Magazine. Available on all iPad/Android Tablets by downloading the Vue Magazines app from the appropriate app store. Posted in article, Vue Magazine | Comments Off on Vue Magazine: “Cool Britannia” article. I’ve written two pieces for the November edition of Vue Cinemas’ Tablet Magazine, available on all ios/android tablets in the app store now.